Facebook is the largest social network on the planet. Businesses can set up an online page on Facebook as a way to promote their business activities and connect with their customers. With a Facebook Page, Facebook users can become a FAN of your company or product. They become a FAN when they press the LIKE button at the top of your page. FANS of your Facebook business page can be updated on your current events, products and other essential information. You can even ask advice from your followers if you're considering carrying a new product or changing your business hours. You can also add contests to your Facebook Page. People love FUN WAYS of engaging and feeling like they are contributing to your business direction and decisions. Facebook has over 1.9 billion monthly users in 2017. Facebook has over 40 million active small business pages. It allows you to create custom pages, have conversations with your customers, and easily post photos and videos. Creating a Facebook Business Page is FREE. Facebook Pages tend to rank highly in Google search results. Facebook also allows for very easy engagement with your fans. If your Facebook business page is interesting, your fans may talk about it to their friends, creating free advertising for your business. Facebook allows a business to have a custom made URL. After you have 25 Likes on your business page, you are able to customize the URL to your Facebook Page, giving it a more authentic touch. You can "Pin" important posts to the top of your Facebook page. When you post new content to your Facebook Page, older posts get pushed farther down your Timeline. But you may want a specific post to stay at the top of your page longer. Facebook offers the ability to "pin" one post at a time to the top of your page. Pinned posts can be used to promote upcoming events or important announcements. Facebook advertising has flexible pricing. You can spend as little as $1 a day. When you create an ad, you can select whether you want to apply a daily or lifetime budget. Facebook advertising cost will depend on your industry, the size of your audience, and the quality of your ad. Facebook Advertising gives you the ability to target specific groups of people. Location targeting allows you to reach customers in key locations by country, state/province, city and zip code. You can also refine your ad's target audience based on content people have shared about themselves in their Facebook profiles. Facebook gives preference to photos and graphics. This is great for businesses with stunning visual content. Great photos and graphics will likely increase your Facebook page's engagement levels. Unlike your website, you don't own your facebook page. Unfortunately, you are at the whim of Facebook to determine how, where, and when you can use it. Don't try to build a successful business just on Facebook. Instead, use it to drive your "FANS" to your website to truly capture the value provided by Facebook. You need to be patient, because it takes time to find interested FANS. 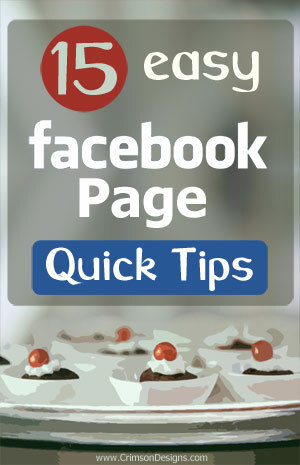 Facebook Pages require regular updates with new content that feels authentic. If you neglect your Facebook Page, it will die. It will also leave a negative impression about your company. If your FANS don't interact with your posts, they'll be less likely to see your future posts. Facebook has updated their algorithm to favor friends' updates over page updates. Overall, pages should continue to post things that people find meaningful and interesting, but the bottom line is that friends come before brands. Organic visibility has dropped on Facebook consistently over the years. Lower organic reach means more pressure for businesses to use paid advertising options. Facebook Ad Costs are increasing. The number of people advertising on Facebook is growing exponentially by the day, so as competition for News Feed increases, the cost of reaching the same people you used to will increase. Advertising on Facebook around holidays can be expensive. When the number of advertisers targeting an audience increases, so does the cost of Facebook ads. If you're planning campaigns around holidays or other big events, it's important to think about how the amount of competition may affect the cost of your Facebook ad.